When painting a two-story home, you need to be concerned with safety and having the proper tools to get the job done. Aside from the standard stepladder, drop cloths and brushes you need for most paint jobs, a second-story job requires some specialized equipment that puts you in the right position to get the results you want. Painting a two-story home requires some additional equipment. 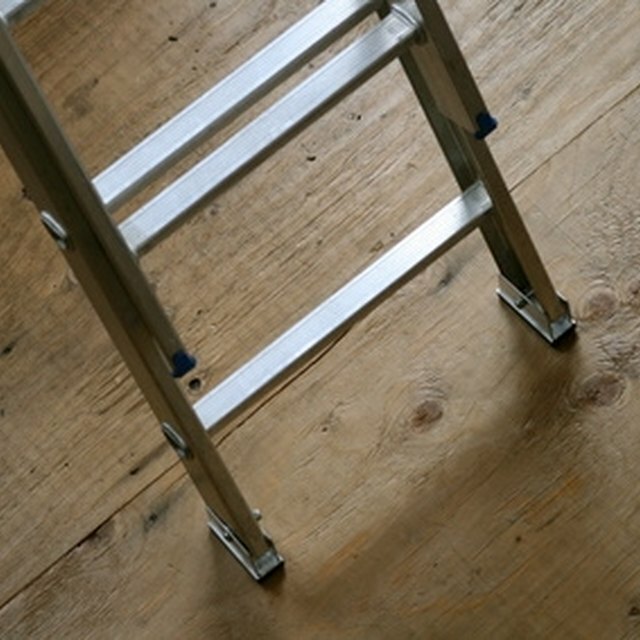 Ladders work well for first-floor and lower-level paint jobs, but the stability you will need to safely execute a two-story painting project should be provided by scaffolding. You can call your local contractor rental company, or even a home improvement warehouse, to get estimates on scaffolding. The additional cost of renting scaffolding is necessary to perform the job safely. To make the house painting project go faster, and for a two-story job, you will need rollers with telescoping handles, which is one that can be extended to safely reach difficult places. Even with the help of a scaffold, you should still have a telescoping roller handle to safely reach spots, such as roof peaks, that you couldn't reach otherwise. A paint gun with an extended tip can be a convenient help on a second-story house-painting project. You can also get paint guns with telescoping tips that work in the same manner as a telescoping roller arm but that allow you to accurately apply paint to areas that are out of your reach. When you paint a two-story house, you are dealing with applying paint 20 or more feet above your head. You need protective clothing and equipment to prevent paint from getting all over you and possibly into your mouth or eyes. A painter's mask and goggles can protect your eyes while a painter's hat can keep the paint out of your hair. Work boots are appropriate since you may be walking in paint that has fallen to the ground as you move around the house.